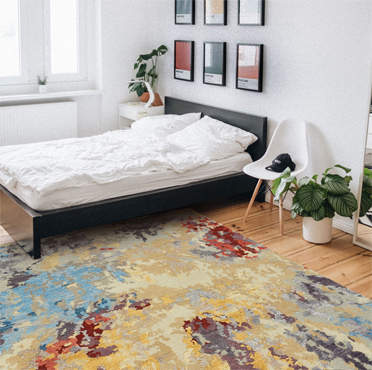 Troy, N.C. — Capel Rugs enjoyed a busy winter market season in Las Vegas and Atlanta as retailers flocked to its showrooms to see fresh designs, such as Breccan, as well as additions to popular existing collections and hot new introductions from the fall. "The Las Vegas Market was particularly busy for us," said Cameron Capel, President -- Sales and Marketing for Capel Rugs. "We had more appointments than usual, welcomed lots of walk-ins by existing customers and saw many new faces. Retailers are optimistic about their prospects for 2018, and they were shopping hard for new, creative designs that can stir traffic and sales." 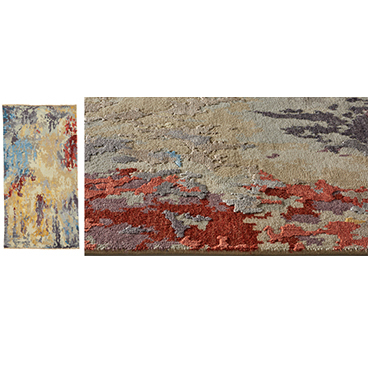 Breccan, Capel Rugs' featured winter market introduction, is a new hand tufted transitional collection of solid colors in 100% wool. The design comes in five colorways -- ink, pistachio, spice, toffee and brownstone. Space dyed for extra visual interest, Breccan also features a tip-sheared loop pile for added dimension and texture. 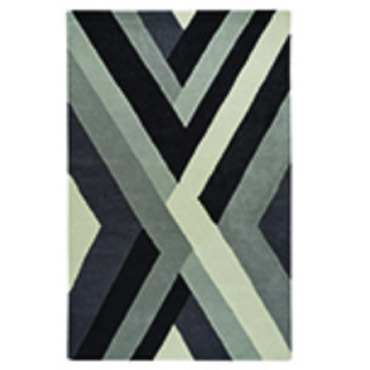 A 5' x 8' rug is priced to retail for under $349. "Breccan was a hit at both markets. Retailers loved the versatility of its design and its range of fashion colors, which fit in with so many different types of room settings. They also liked its value pricing. We expect we'll be adding more colorways to this stylish collection in the near future," said Capel. At this round of the winter markets, Capel Rugs also expanded its popular Fuego collection with a new Kashan model. In transitional styling, Fuego is a machine woven design of 100% olefin made in Turkey. Also new for market were three fresh colorways added to the Dramatic Static braid collection. The new colors are Tidal Wave, Foggy Day and Carnival. "These new colors are bright and happy," Capel said. "Carnival would be perfect for a kids' room, and the other two colors also have a wide variety of applications. Since they are constructed of a thick, heavy nylon chenille, they're easy to care for and built to last." New designs added recently to the licensed Genevieve Gorder line also drew a wave of new activity in Las Vegas and Atlanta. The latest additions include two new designs in the Finesse collection -- Mail Cloth and NY Toile -- and Flower Pop, a cheerful hand tufted design in four colorways that matches a best-selling fabric design Gorder created for P/Kaufmann. Capel Rugs also showcased a number of new rugs from the October High Point Market for the first time in Las Vegas and Atlanta. 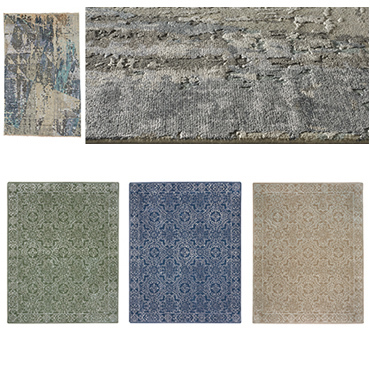 Among the new rugs showcased was the newly licensed Anthony Baratta line. One of the most comprehensive launches Capel Rugs has ever made, the Anthony Baratta for Capel line features two collections of hand tufted designs in wool and viscose; an indoor/outdoor collection of five loop pile designs in olefin; a collection of two easy-care plaid designs; and three braided collections. All of the designs feature Baratta's signature mix of nautical, coastal and other Americana-inspired themes in a bold, bright palette. "The entire Anthony Baratta collection is off to a great start with both retailers and designers, and that trend continued in Las Vegas and Atlanta," said Capel. "We were delighted to find that even the nautical themes did well for us in Vegas -- customers said they'd be a great fit for any type of vacation home, not just the beach." In Capel Rugs’ flagship line, four hand knotted rug collections introduced in High Point also generated new business at the winter markets. Especially well received was Makrana, a distressed, traditional pattern in a wool and viscose blend with four fashionable colorways. The other three new hand knotted collections include Astbury, a delicately distressed transitional design in 100% New Zealand wool with three colorways; Capital, a traditional floral in 100% wool in three bold colorways; and Pinnacle, a colorful transitional collection with a distinctive ombré look in 100% wool with two colorways. 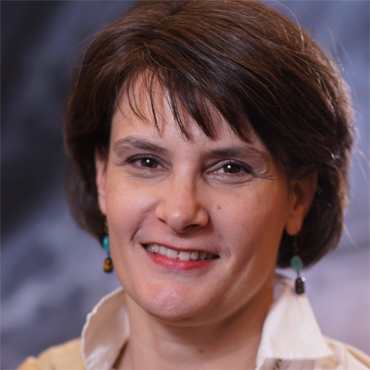 “These are high-quality, higher-end looks with very affordable pricing,” said Capel. The Las Vegas Market took place Jan. 28 to Feb. 1. The Atlanta International Area Rug Market was held Jan. 10 to 14. Based in Troy, N.C., Capel, Inc. offers more rugs in more categories than any other area rug company, including original braided rugs and woven rugs made in North Carolina for 100 years, the finest hand knotted rugs, best selling hand tufted rugs, innovative outdoor rugs and kids rugs. To see more from Capel Rugs' program, visit CapelRugs.com.